The best time to photograph a newborn is within their first two weeks of life. Babies sleep soundly and can be comfortably curled into the womb position, making it easier for poses. Please call while you are pregnant and we will schedule a session that is within two weeks of your due date. Understanding that due dates are only an estimate, your session can easily be rescheduled. Just call or email me and we will find a time that is appropriate for you. While scheduling within the first two weeks makes it easier for certain poses, I will photograph your little one at anytime. Many of my best portraits have come from wide-awake babies who like to stretch out. My goal is to capture your baby's character and spirit no matter what stage they are at. Where do these session take place? At the present moment, my studio is located at my home in Newport, RI. For the sake of privacy, I will send you my address once you have booked your session. If you have purchased the Full or Basic Session, you have the choice of coming to my studio or having me come to your home. Mini Sessions are only done in my studio. If I am coming to your home, please keep in mind that I use natural light for newborn portraits. I will need an area next to a window or sliding glass door that is at least 6x6 feet to set up my equipment. Please set your thermostat to 80 degrees. I will bring a space heater and heating pad as well. Newborns cannot regulate their temperature. Since these sessions are captured with little to no clothing using soft wraps and fabrics, we need to make sure your baby is safe and warm. Rest assured that my studio will always be set to the appropriate temperature. How can I get my baby to sleep throughout the session? When arriving for the session, have your baby dressed in warm, loose clothing that is able to be unzipped. These outfits are the easiest to take off. Plan to feed your baby right before we start. If the session is taking place at my studio, a private comfortable area will be provided for nursing mothers. Be sure to burp your baby well so they are not upset by gas. To help keep your baby calm, I provide a Dohm Soft White Noise machine. Babies love to be gently rocked and swayed. Doing so, usually, will successfully lull your little one off into a nice cozy sleep. I keep sterile pacifiers on hand during the session. Even if you do not normally use one, they are very successful in calming your baby back to sleep. What else should I be aware of during the session? Rest easy knowing that all blankets, wraps and accessories are laundered in "All Free & Clear" liquid detergent. Having extremely sensitive skin myself, your baby's skin safety is a top priority for me. It is expected that your baby will relieve themselves on my blankets and props. Everything I use is washable so there is no need to fret. Since we have to keep the room temperature warm for your little one, be sure to wear breathable loose clothing so that you can stay comfortable too. If you are planning to pose with your baby, I recommend wearing neutral tones. Choosing solid fabrics over prints will also help to keep the focus on your and your little one. If you have a keepsake that you would like to include in a photo, please let me know before hand. As long as it is safe for the baby, I am happy to include it. How will I keep your baby safe? Your baby's safety is my number one priority. I will never pose or place your child in or on any prop that could put them in harm's way. For basket poses, I keep a ten-pound weight in the bottom to prevent it from toppling over. During beanbag poses, I will ask for your hands if needed. Not all babies like the same poses. If your little one is uncomfortable while being posed, we will stop and move on to something that is comfortable for them. While this is very rare, sometimes a baby is unable to be soothed. If this happens, do not worry. We will simply reschedule your session. This is a special time in your life that will never be repeated. I want this experience for you and your baby to be enjoyable. 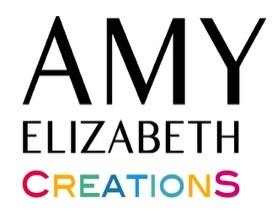 Please call me at 401-236-2832 or email me at amy@amyelizabethcreations to schedule your portrait session. If I am unable to answer immediately, I will respond within 24 hours, Monday through Friday, 9am-4pm. Once you book your session, we will schedule a consultation. It is highly recommended to do this in person. If your schedule does not allow for this, we can discuss your needs over the telephone or email. Up to one hour is provided for consultations. We can meet at my studio, a local coffee house, or your home if it is within 25 miles of Newport, RI. Images will be ready for viewing within ten days of your session. You will receive a link to your private online gallery and we will schedule a time in person or over the telephone to review your collection together. You will have the ability to download high-resolution and low-resolution images for social media. If your package includes prints, I will deliver them to you in person or by US Priority mail, whichever is more convenient for you. Additional Fine Art products including but not limited to prints, canvas, albums and frames are available upon request. I am happy to come to your home for a free consultation and design a piece or collection that will fit perfectly in your space and be cherished for years to come. All sessions start with a consultation. This allows me to get to know you and what is important to you. My goal as an artist is to understand who you so that I can create a portrait that is truly resembles you. Up to one hour is provided for consultations. During this time, I am happy to recommend wardrobe and other styling options.